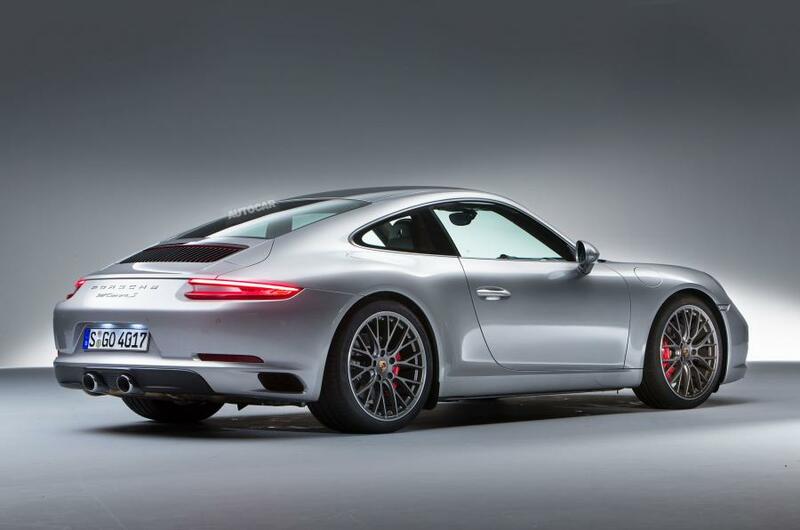 Posted: Sun Sep 06, 2015 10:55 pm Post subject: New 2016 Gen 2 991 Carrera revealed with all Turbo line up! And so the next chapter of Porsche 911-kind begins. 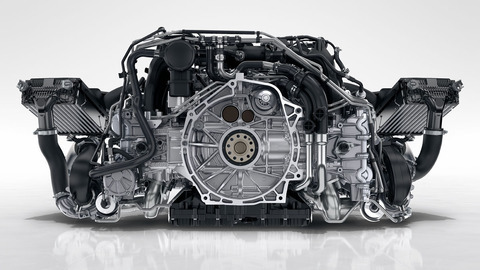 Stuttgart has confirmed the worst-kept secret in motoring: the second-generation 991 will sprout a pair of turbochargers on lowly Carreras, boosting power and torque significantly and lowering emissions and fuel consumption. In both instances, that’s 20 horses more than their predecessors. Both models share the same capacity; the Carrera S’s extra power comes from modified turbos, a separate exhaust and tuned engine management. 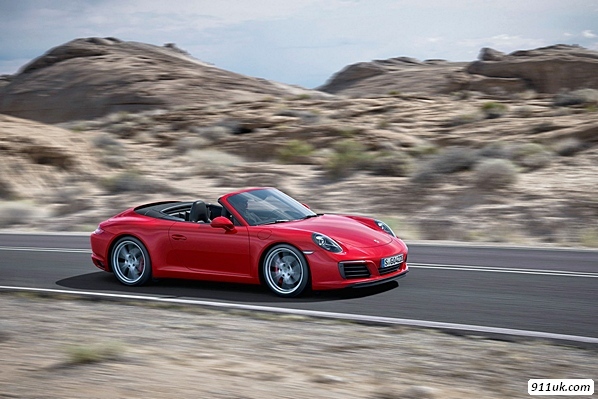 This move for the first time in the Porsche 911’s 52-year history to move the Carrera and Carrera S models to a turbocharged flat-six engine will be met with some degree of resistance among purist sports car enthusiasts, but the switch to forced induction has resulted in the fastest and most powerful Carrera and Carrera S models to date. 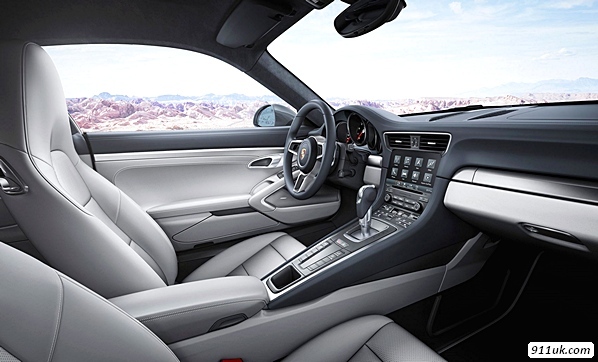 Four years after the arrival of the seventh-generation 911, codenamed 991, Porsche has overhauled the mainstream models with new engines, revised chassis settings, facelifted bodywork and a new infotainment system. 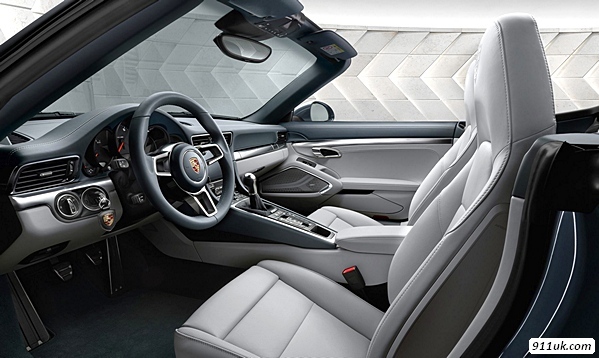 The mid-life refresh is intended to keep the 991 competitive in the sports car marketplace until a new model arrives in 2018. 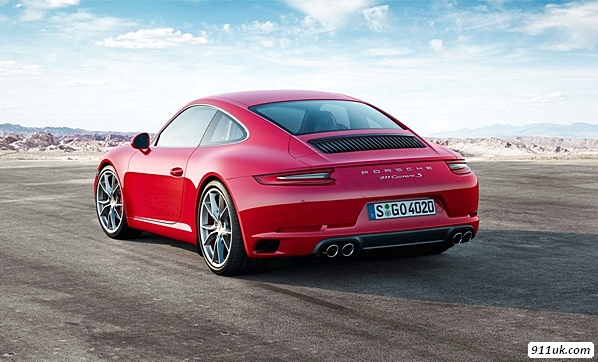 Both the Carrera and Carrera S use an all-new 3-litre, twin-turbocharged six-cylinder boxer engine. Both versions boast 20bhp increases over the outgoing normally aspirated models, with peak outputs now having risen to 365bhp and 414bhp respectively. The Carrera S’s additional power can be attributed to its pair of turbochargers boosting at 1.1bar rather than the Carrera’s 0.9bar. 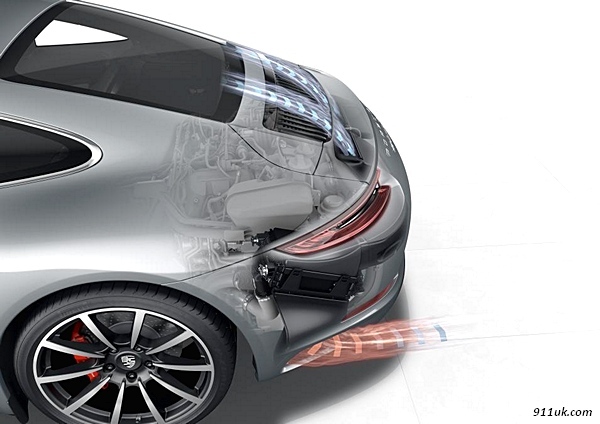 The turbochargers are fixed-vane items rather than the 911 Turbo’s clever variable vane type. Torque outputs have risen more substantially – by 44lb ft on each model – but peak torque is now available from just 1700rpm, right up to 5000rpm. 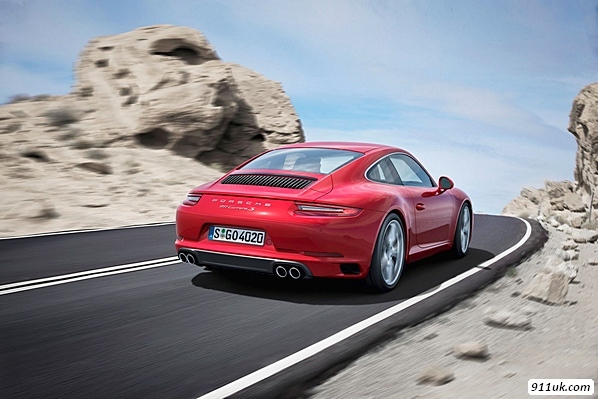 For reference, the previous Carrera S delivered its peak torque at 5600rpm. The figures are 332lb ft and 369lb ft for each model. 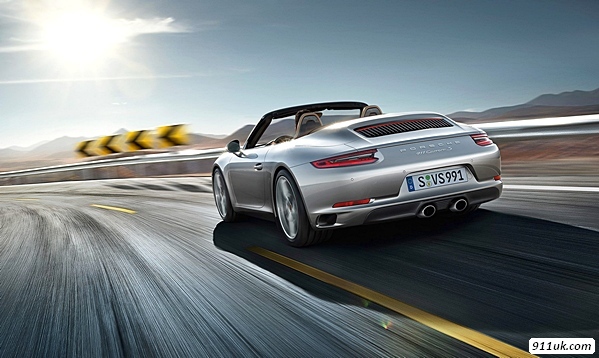 With more power than ever the Carrera and Carrera S are faster than ever, too. 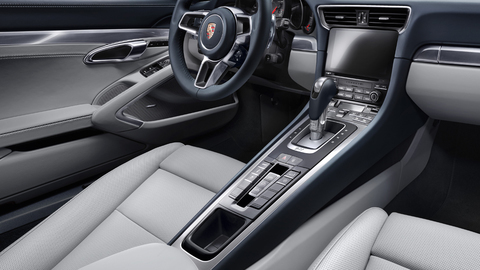 With the PDK twin-clutch gearbox and Sport Chrono fitted the entry-level model will reach 62mph in 4.2 seconds – two tenths quicker than before – while the Carrera S also cuts two tenths from its 0-62mph dash to clock 3.9 seconds. Top speeds are now 183mph and 191mph. Fuel consumption has been reduced by around 10 per cent across the board. 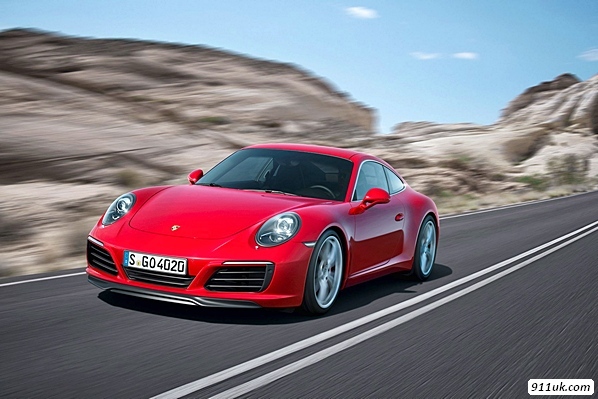 Porsche claims a Carrera with PDK will now return 38.2mpg, with the S capable of 36.7mpg. Straight line performance and fuel efficiency have benefited from the switch to turbocharging, then, but logic suggests that throttle response, exhaust note and top-end fireworks – between them the three factors that can make an engine memorable rather than just effective – will have taken a backwards step. 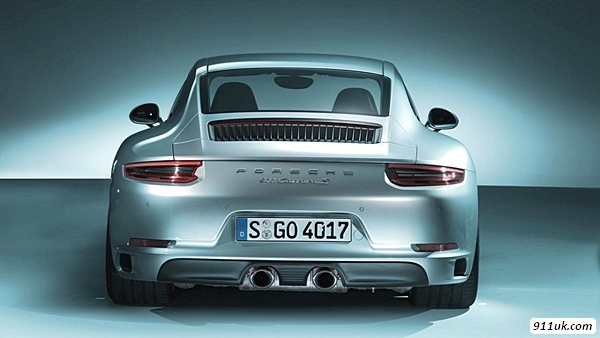 “I can’t imagine a four-cylinder in the 911. 1. 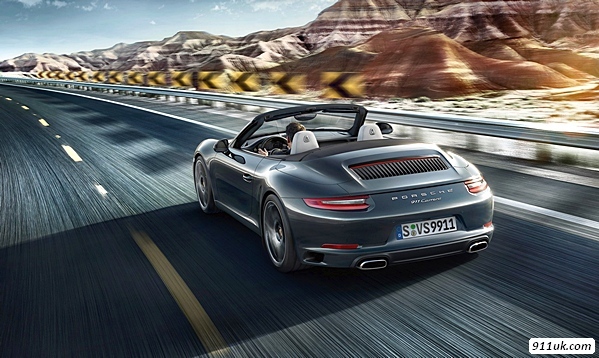 It’s turbocharged (but it’s not called the 911 Turbo; that’s a separate model). 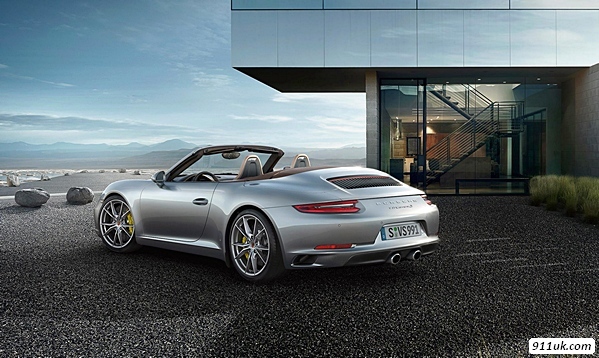 It’s the first time in the 911’s history that cooking models have used forced aspiration. It’s a twin turbo set-up and the engine’s all new. Still flat six, of course. 2. It revs! The red line is 7500rpm which is astonishing for a turbo. 4. It’s torquier. Much. 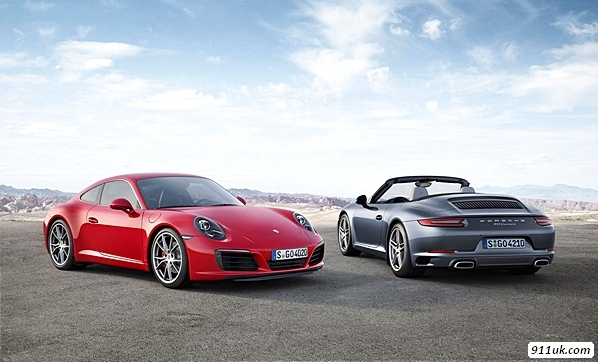 With 60Nm (that’s 44ft lb) extra for both Carrera and Carrera S, the peaks are now 450Nm and 500Nm respectively. 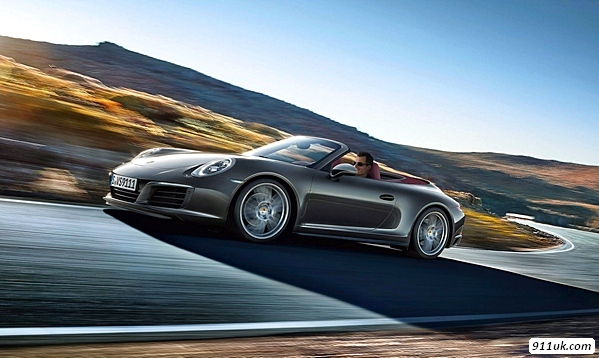 911 flat sixes have always been torquey engines but now all that twist starts working from just 1750rpm. 5. It still sounds like a 911. They say. We believe them. Can you imagine the outcry if it didn’t sound like a 911? 6. It’s quicker than before. 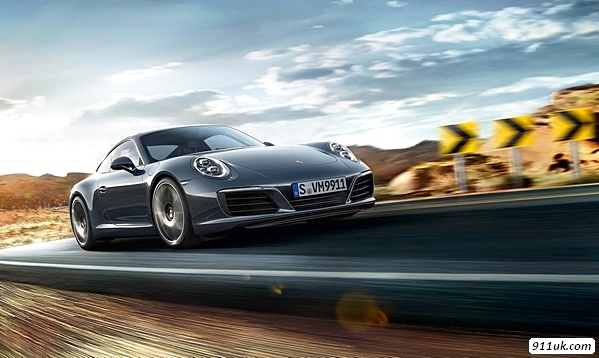 Every generation of 911 has been faster than the previous one and the new turbo range is no exception. 0-62mph time for a PDK Sport Chrono Carrera is 4.2secs (two tenths up on its predecessor) while the S just sneaks in under 4secs. No figures yet for the manual; yes there will still be a manual ‘box. 7. Top speeds are up. 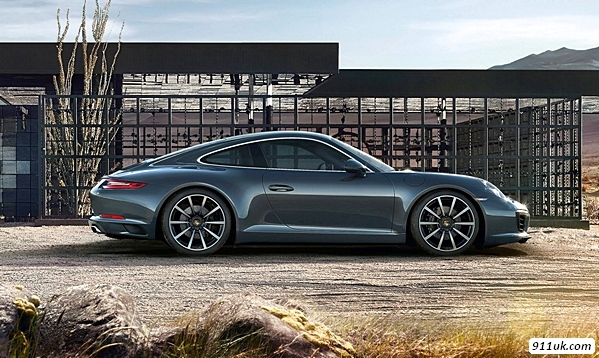 The base Carrera is now a 183mph car, the S hits 191mph. 8. 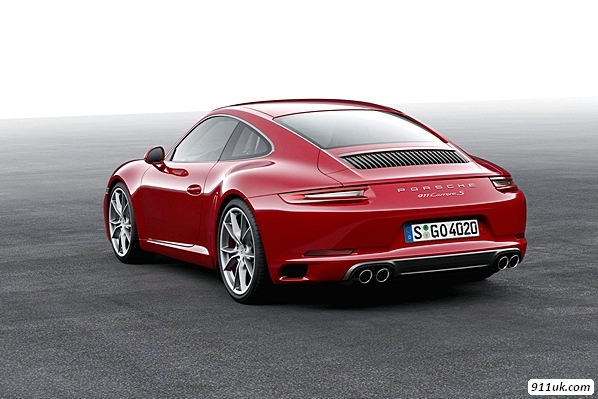 With the new rear-axle steering option on the Carrera S improving turn-in, the Nordschleife time is cut by 10 secs. 9. 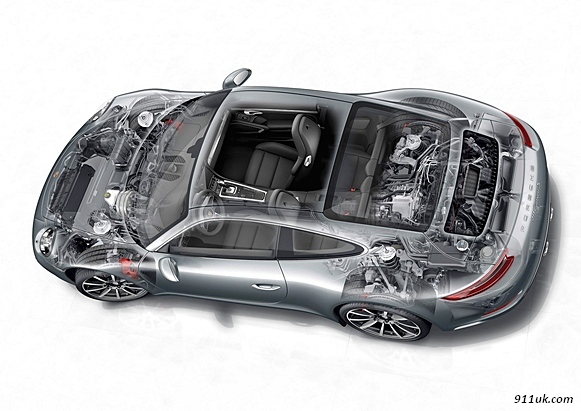 Going down… Every new Carrera automatically sinks by 10mm to improve high speed stability, a feature of the latest Porsche Active Suspension Management chassis. 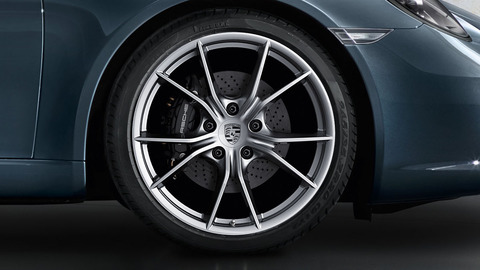 Porsche say it offers the best balance yet between everyday comfort and track driving performance, a balancing act that new dampers all round are said to help with too. 10. Going up… A new option is a hydraulic lift system in the front struts that raises the nose 40mm so you can negotiate pesky sleeping policemen and steep driveways without expensive graunching sounds. 11. Bigger rear wheels and tyres. Rears are up half an inch at 11.5 wide, wearing new 305 (instead of 295) rubber. 12. A tighter turning circle! Not an expected one this, and to be fair it still doesn’t put the 911 in the London taxi class. But… a by-product of that rear axle steering option is 0.5m off the kerb to kerb distance, useful for those back street U-turns. 13. There’s a new button: the Sport Response Button. Push this for a burst of max thrust for 20secs. It might be a bit like KERS but here there’s no more power, just an early wake-up call to the engine management system, selection of optimum gear and ‘pre-conditioning’ of the drivetrain, whatever that means. 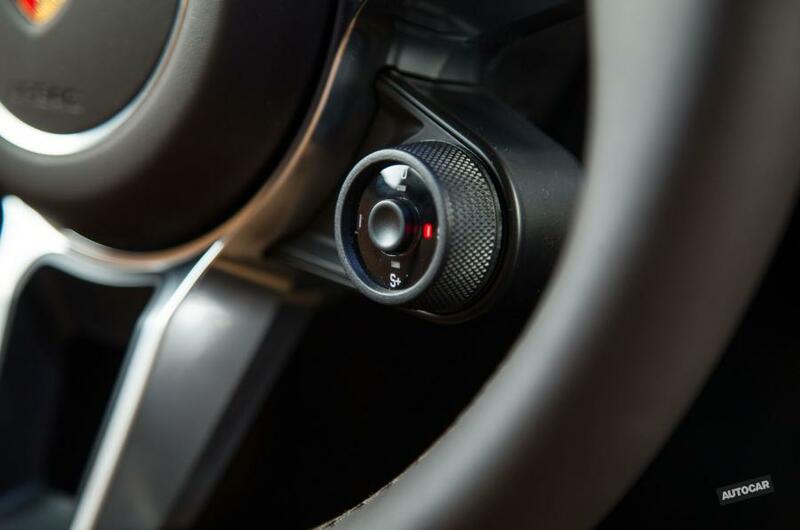 You only get the button with the optional Sport Chrono pack though, which also gives you a new mode (normal, sport, sport plus and individual) switch on the steering wheel. 14. 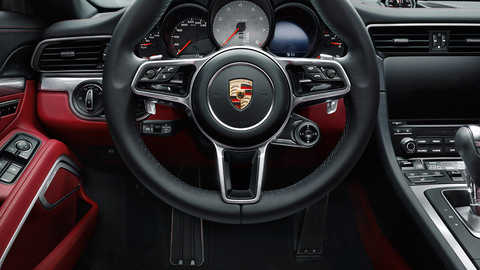 The 375mm diameter steering wheel (360mm for sport option) is based on the design of the wheel in the 918 Spyder hybrid. 15. 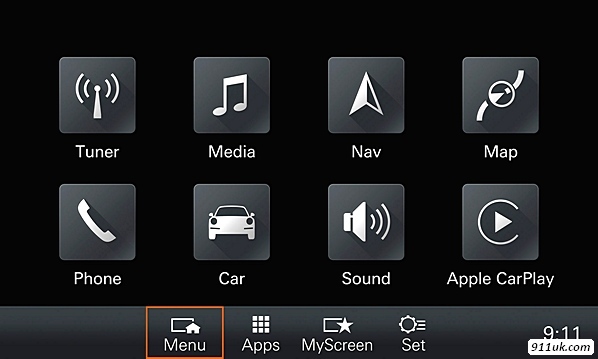 Smart-phone style multi-touch gestures and handwriting input are now possible for the revamped infotainment system; smart phones can now be connected by Wi-Fi and Bluetooth (and there’s a new tray in the centre armrest for your phone to go in!). 16. It still looks like a 911. This is a just a design freshen up, not a new body though there is a new look front and back with new lights… and we approve of the new black vertical slates on the engine cover. 17. It’s available in the UK from December. 18. 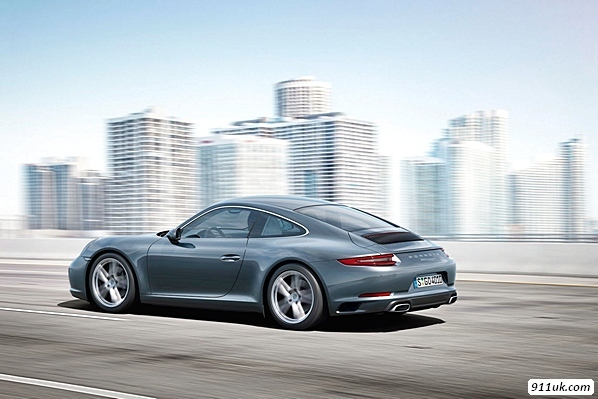 It costs from £76,412, with the Carrera S from £85,857. 19. 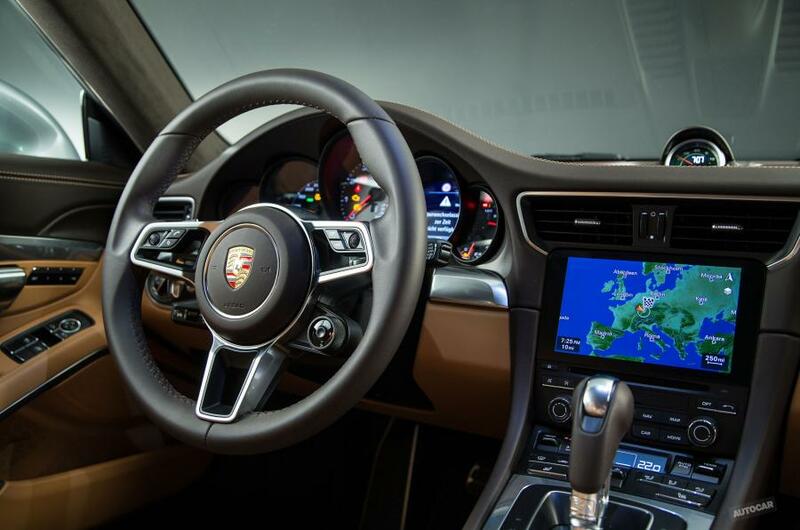 Included are leather, sports seats, satnav and touch screen, universal audio interface, Porsche Active Suspension Management and a driving course at Silverstone. 20. Did we mention efficiency? Here’s the main reason of course for the turbo turnaround. Porsche say the new model is almost 12 per cent more efficient than before, with the 911 Carrera with PDK returning 38.2mpg (and for the tax conscious, 169g/km of CO2) on the combined cycle. That’s 3.8mpg better than before. 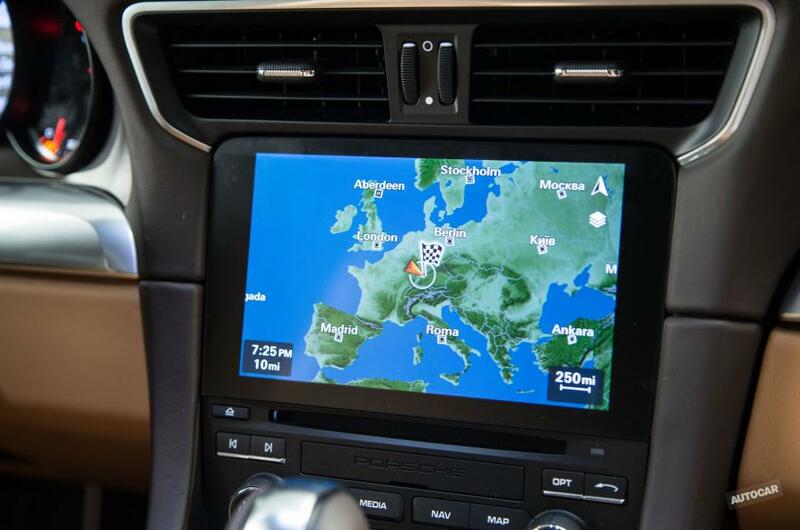 As standard: innovative infotainment centre with online navigation, Apple CarPlay®, telephone module and Connect apps. 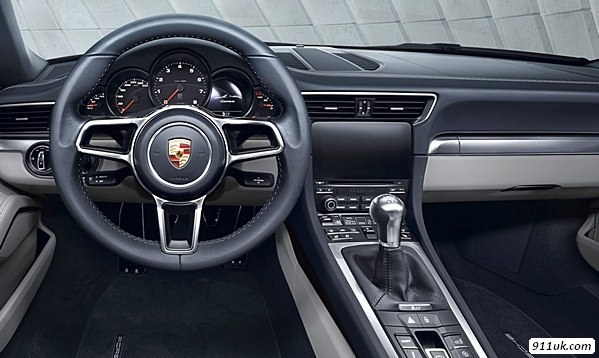 Mode switch on the multifunctional GT Sports steering wheel for four driving modes – plus SPORT Response button for maximum responsiveness. New front and rear design with fourspot LED daytime running lights, threedimensional taillights and four-spot brake lights. New twin-turbo engines for more power, considerably more torque, high rpm limits and lower consumption. 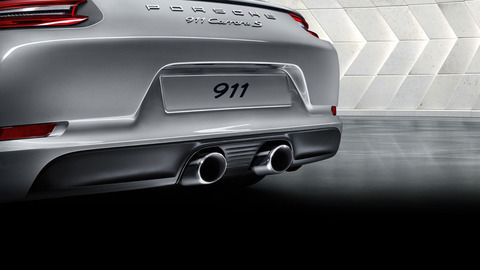 New sports exhaust system with central tailpipes announces where the 911 feels at home: on the racetrack. 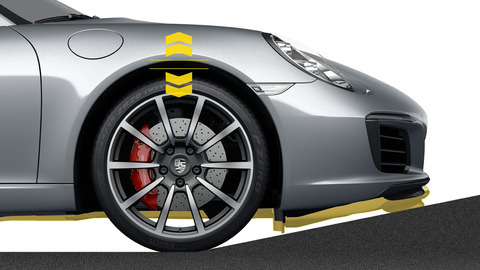 Lane Change Assist and further reinforced brake system – greater driving pleasure as well as greater safety. New lift system – for increased ground clearance. Adaptive dampers on all vehicles – for greater comfort during everyday driving. 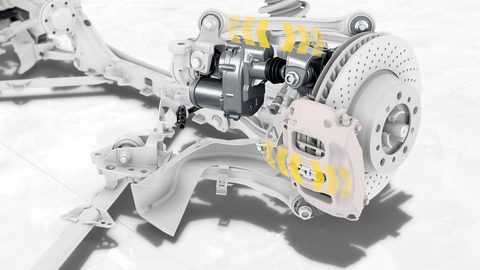 New rear-axle steering improves driving stability and agility. 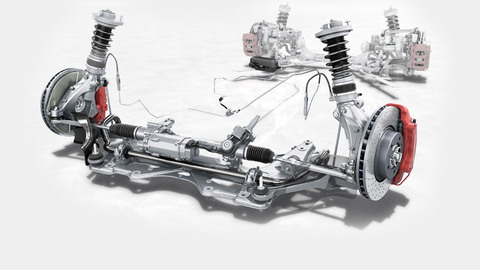 Standard on all models for the very first time: the Porsche Active Suspension Management (PASM), which electronically adjusts the shock absorber system. 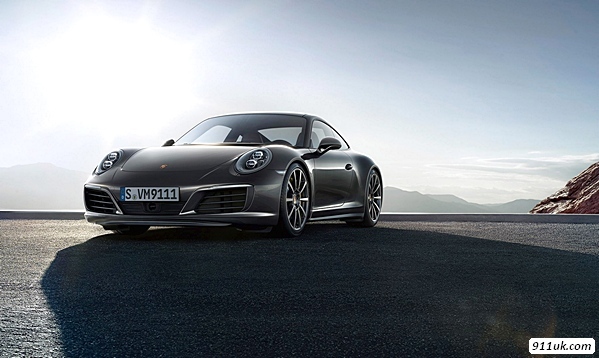 Official 991 Gen 2 Carrera Brochure, "the 911"
New 911 991.2 Carrera turbo kickstarts Porsche's turbocharged future, revealing exactly what every OPC Salesperson has been tight lipped on in recent months! All 911 non-Turbo owners/lovers, you'll certainly remember Sept 2015! 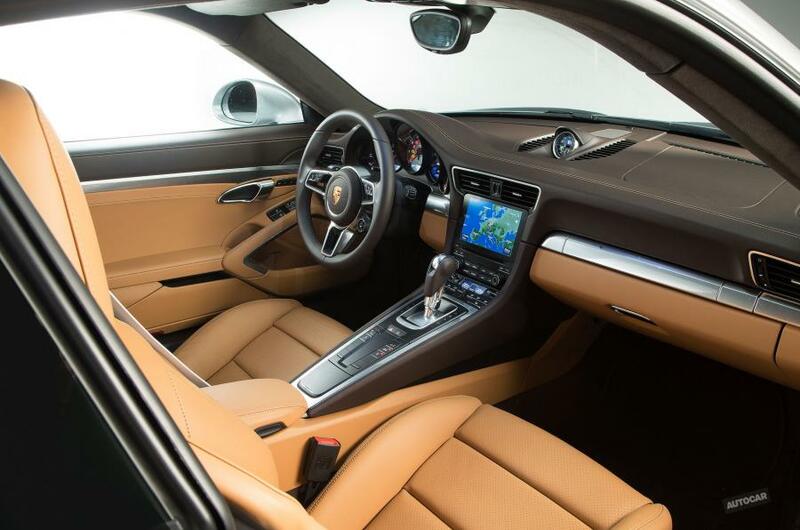 Have you placed a recent order for a 991? What do you think of the look / updates? Also, what does it mean for the distinction of the 'Turbo' model? What does it mean for the allure of the growlingly rarer N/a models? 1. 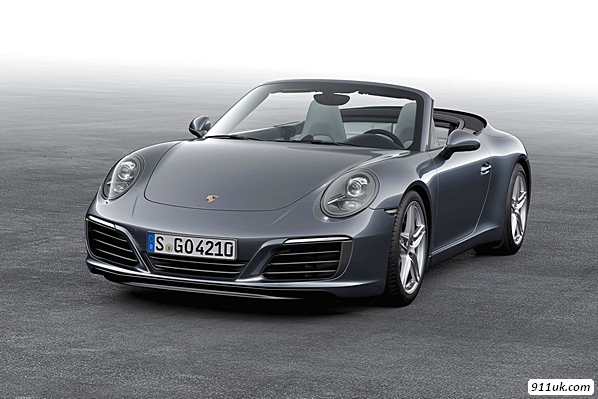 New Carrera models will be launched in Germany on Dec 12, 2015. 2. Think that's quick, the new C2S model is the first to hit 60 in under 4 seconds. I have to say everything about the new cars is more impressive than I thought it would be. For some reason I thought the new 'Carrera Turbos' would only have one. 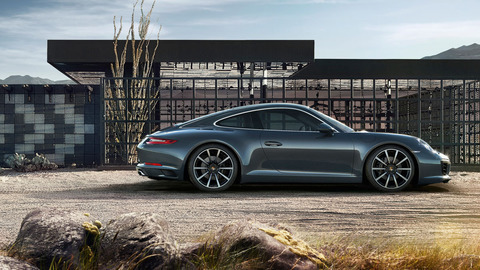 Looks like the new Carrera 'S' is very similar to the 996T regarding bhp and performance but with double the mpg. i love the styling and the exhausts! 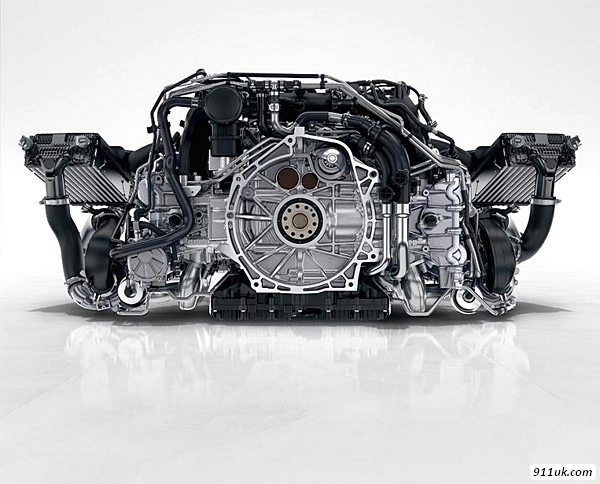 Wow both Carrera and Carrera S will have the same engine with just different turbos and other bits. Never mentioned the GTS retaining a NA engine. That's most likely going to be a big release. 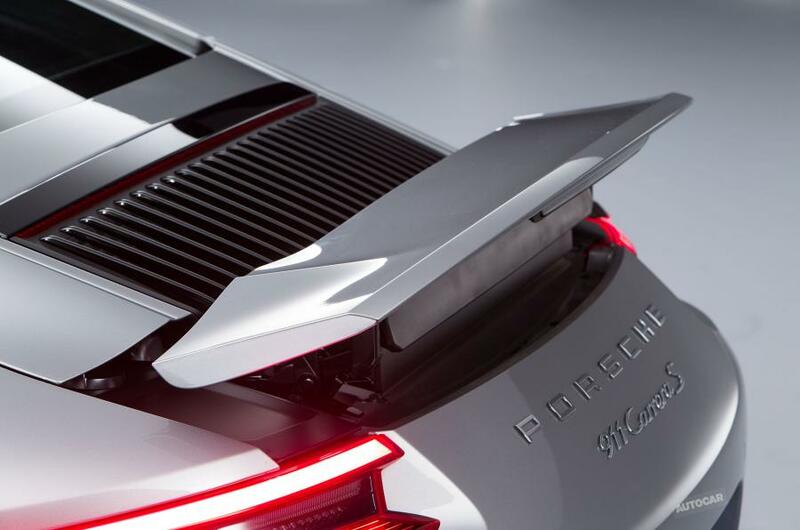 I think they are going to make that car my GT3 like but with a manual option retained for the 'purists'. wow...........love it. Need to get some GT3RS intercoolers and a new exhaust on mine pronto if I want to keep those whippersnappers off my heels! Ragpicker, you might need those defibrillator paddles handy for the 993 brigade with yet another substantial leap forward for them to deal with.......? New996Buyer, we 993 drivers will be grinning too hard to care as we bask in air-cooled, normally aspirated, authentically glorious 911 heaven. At least I like to think that will be the case. In reality it will be pretty annoying if a well driven 993 can't make a 991 driver at least try a bit on a twisty road, without risking absolutely all. I'll have to resort to pretending I'm not trying, whilst testing if I can inch away... and looking as though I couldn't care less if they overtake (or safer, turning off down a road that I know not where it goes). It's a shame Porsche won't take a page out of the Mazda MX5 book and go lighter and less power... will the 2018 911 be bigger than my 2005 model BMW 5 series touring?! Just joking... though I hope they don't get any bigger. So it's still a flat six, stupidly quick and practical, crazy mpg, how have they made a facelift look so good?? The rear pic of the S with the exhausts looks Sverige nice.. 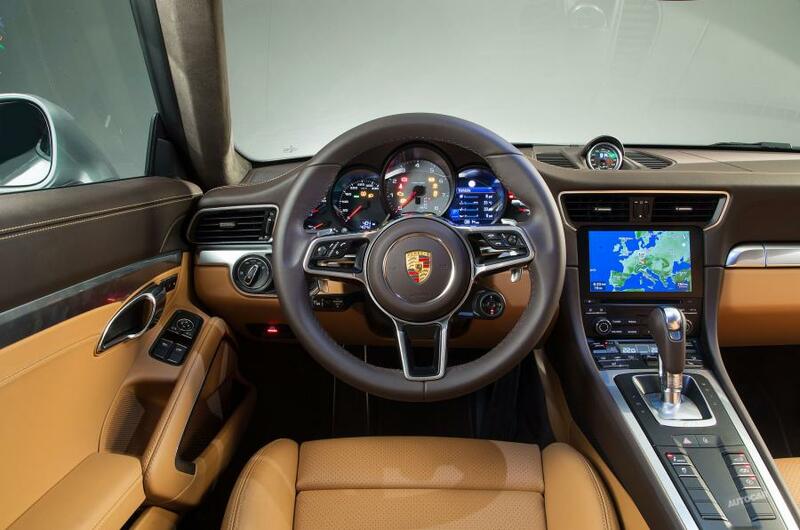 Surely will have a big effect on pre facelift 991 prices? 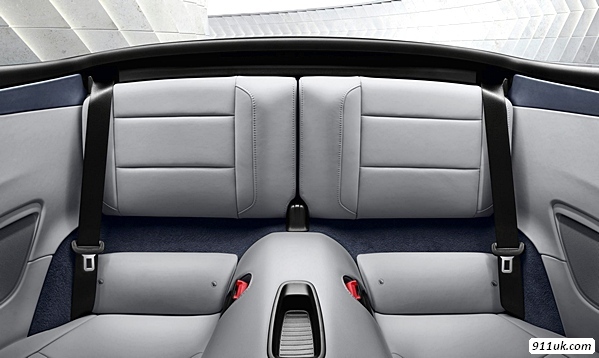 They have - its called the Boxster. Yes that's true, but my gybe was at the increasing size of 911s, rather than a like-for-like comparison. I rather like the new Spyder actually, saw one yesterday at the Classics at the Castle. I'm a bit confused by the three different exhaust configurations. The base Carrera has the rectangular ones, the 'S' the twin outlets on either side, so what's the 'S' version with two outlets closer to the middle - is that an option? Certainly looks the part. These look awesome machines, being a 991 fan I'm now hopeful that these puppies will help the prices of all those 991.1 that people trade in for them to come down a little faster than they would have done. Selfish I know. My guess is that the quad exhaust set-up is the PSE option; where the two inner exhausts are only active when the PSE is switched on. The GT3 doesn't have intercoolers dear boy with it being N/A and all that! But then I'll forgive a slip of the finger just this once! I was wondering about the exhaust config too, I much prefer the two pipes closer together, I think that looks ace! Oh, N996B, I don't even think the defib would work on the 993 beardy brigade with this new technology.... We might have to resort to Cheshire911's smelling salts! Need to get some GT3RS intercoolers and a new exhaust on mine pronto if I want to keep those whippersnappers off my heels!